Photography is a skilled art. There are many genres and styles of photography that photographers practice. In order to get noticed for their work, photographers need to market themselves to win clientele. There are many kinds of marketing tools available, but majority of photographers are mostly on a budget so they need to consider their marketing options accordingly. 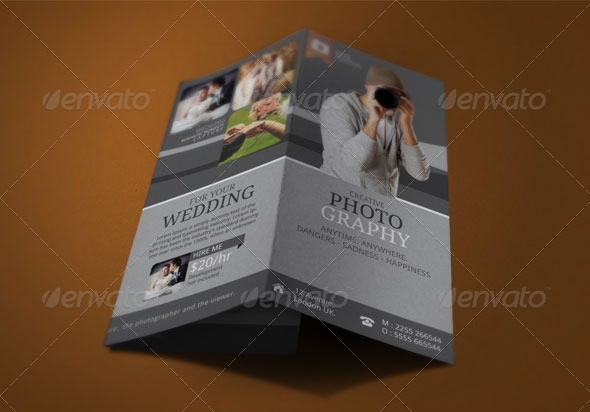 Brochure marketing is deemed as one of the most effective and inexpensive methods of publicity. Whether you run a solo service or are part of a bigger setup, nothing will advertise your photogenic work like a photography brochure can! Scroll down and run eyes through the Tri fold Brochures template options we have gathered for you. 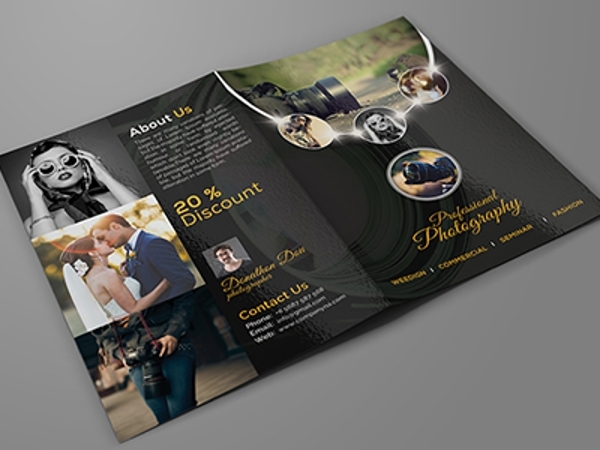 Whether you a thorough professional or a freelance photographer, put your trust and faith into this innovative brochure design to publicize your talent with the camera. 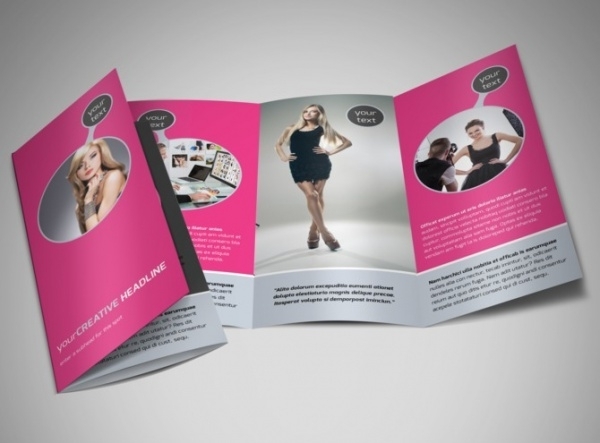 This is a portfolio style brochure, something new and guaranteed to get you clients! 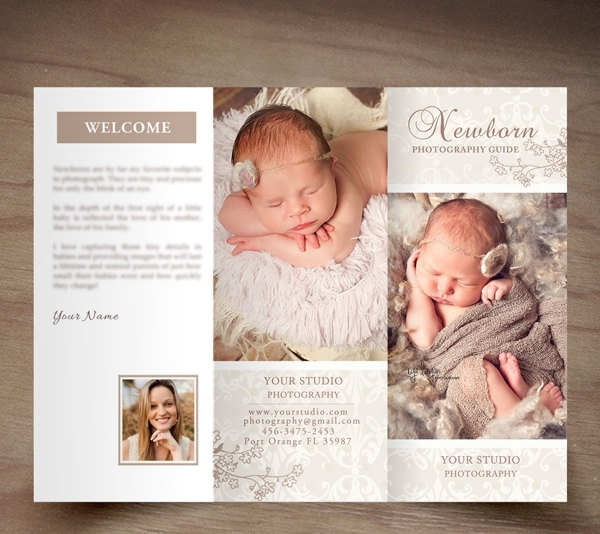 If you prefer the tri-fold design for your brochure, this template fits the bill perfectly. It’s got a simple layout, and the layers are smart-object enabled, so editing should be easy to do. Showcase the full power of your photography skill and studio facility in this agency-quality, loaded with graphics brochure template. You spice up the appearance with choosing a good font! 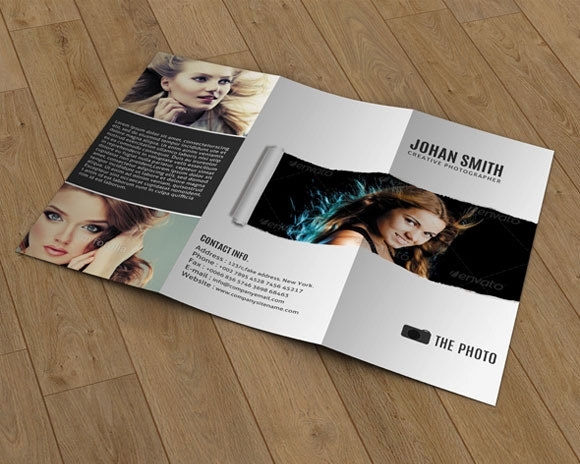 Whatever your photography specialty is, this power-packed photography brochure template gives you all the space and scope to design an excellent photography brochure representing you. The template supports all file formats. 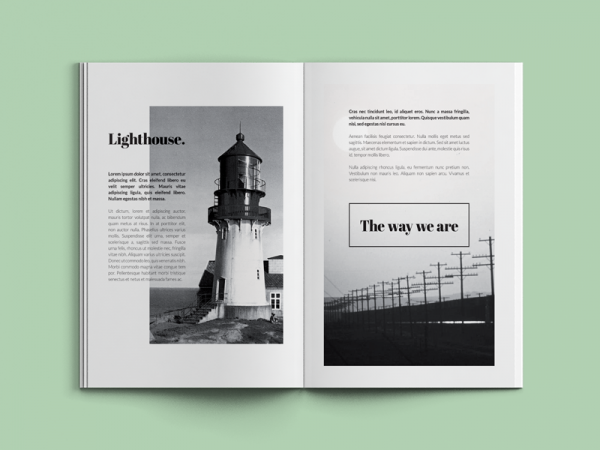 If you love black, and want the color for your brochure design, this is the template for you. 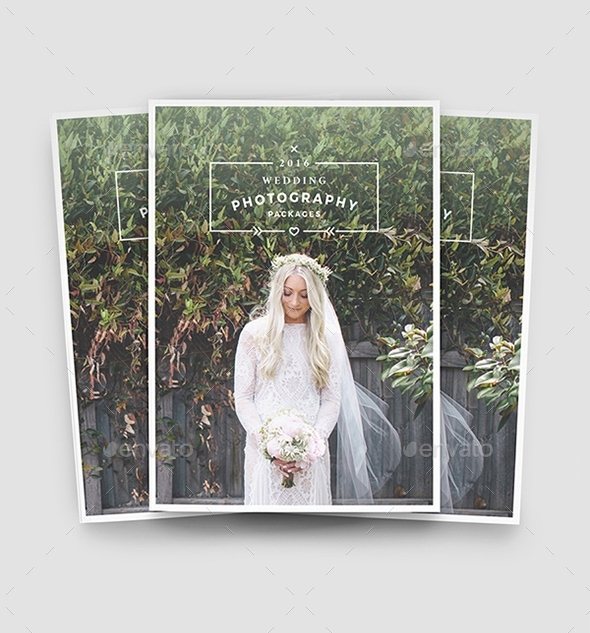 This is an A4-size brochure template and contains 16 pages which you can easily customize and create the photography brochure of your choice! 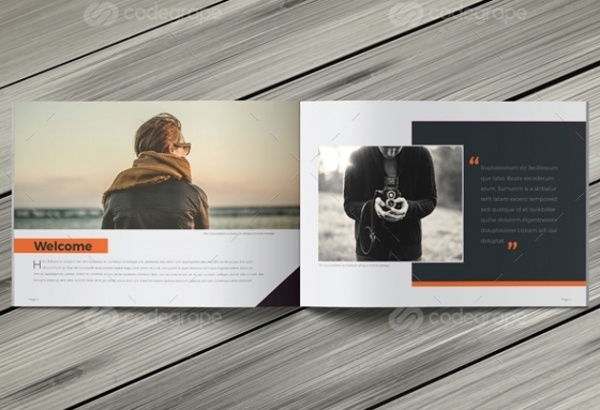 Whether it is a portfolio or catalog, this brochure template design is apt for both purposes. Endowed with a minimalist design and layout, this modern-looking brochure template will make your pictures shine and make an instant impression on the viewer! 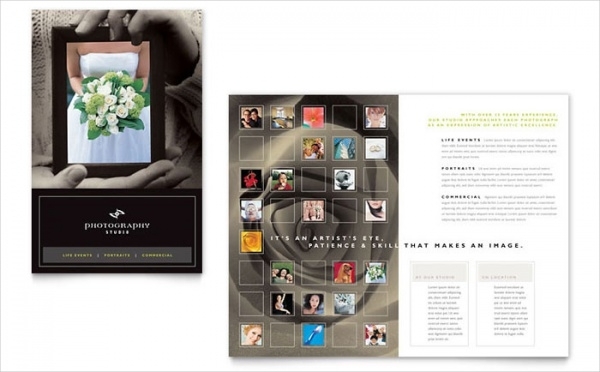 If you’re a wedding photographer, then this brochure template is just the right thing in which you should stack up your works and present to your potential clients. This is an A4 size template and has 24 pages. Babies are world’s most photogenic people. If you’re a pro at capturing them in your camera, then this is the brochure where you should put in your choicest shots on display. 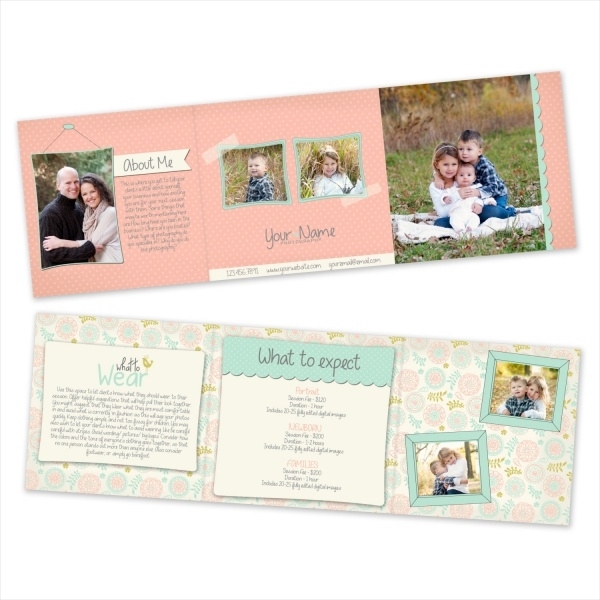 This is a tri fold fully layered and customizable template! For admirers of the bi fold brochure variety, here’s an example which can be totally used to design a stunning photography brochure. The template is 300 DPI, print ready and all the elements included are fully editable and customizable. Bring alive your photographic works by putting them inside this high quality brochure specially designed and developed for photographers. This is an A5 size template, the size is better, so your shots will look better! 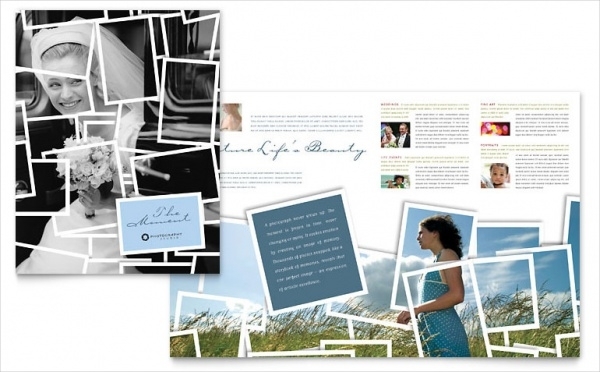 Our collection of photography brochures includes the best and trending designs. Choose the one which you reckon will help you present your photogenic works to clients in the best way possible. There are different designs and formats available. 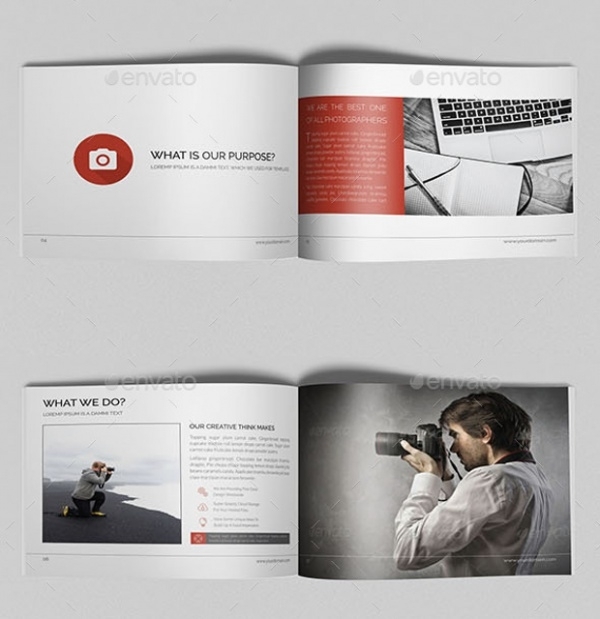 Let your creative flair loose and create a photography brochure that beats your competition hollow!